*How big is your baby? : a head of cabbage..sorry for slacking in the veggie department! He is about 16-17 inches long and weighs about 2.9lbs! *Total weight gain? : 9 lbs. 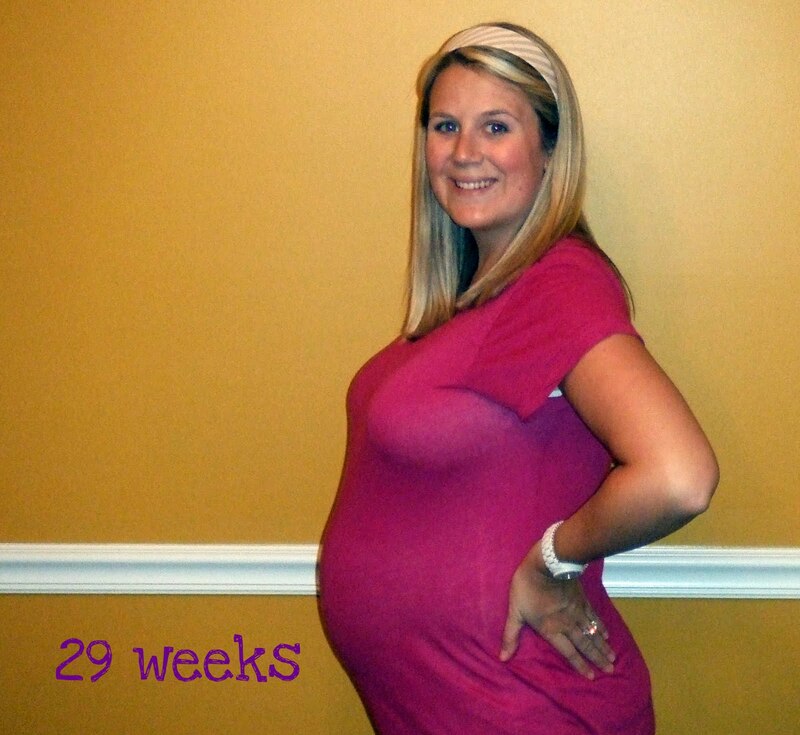 *Maternity clothes: I am getting really sick of wearing the same things all the time. AND whoever invented the spandex panel in maternity pants was not thinking of us pregnant girls down south in the summer...I may as well wrap my body in saran wrap and go sit in a sauna. *Best moment this week: My mom finished the curtains for the nursery and we love them!! *Belly button in or out: is flat an option? it looks unbelievably weird right now. You look great!!! I can't wait to see pictures of the nursery! You look great! Love your baby shower pictures below...that picture fence is adorable!